Neither HMAIS nor any of its affiliated companies (including HMA) endorse or recommend any commercial products, processes or services. 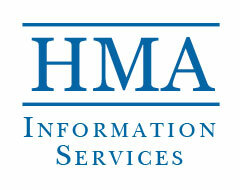 Therefore, any mention of products, processes or services in the Service or on any HMAIS or HMA-related website is not an endorsement or recommendation. Further, neither HMAIS nor any of its affiliated companies (including HMA) control or guarantee the currency, accuracy, relevance or completeness of information found on linked external websites.